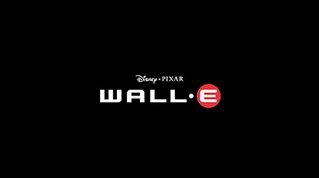 Tune in to Entertainment Tonight at 7:30pm PDT for a first look at the teaser trailer for Pixar's 2008 feature, "WALL-E". It's on KRON Channel 4 in the Bay Area. Check your local listings. You'll get a little taste of what I've been working on for the past year or so. Sorry for the late notice, I just found out about this myself! UPDATE: the teaser in now online, in HD, even! Thanks to Alexiss for the tip. I'm in the east, and I just saw it! AMAZING. And to think that I check this blog at 7:26. A Close call. I wish there was more! What we actually saw of Wall-E was so brief ... but the intro was very sweet and I think it's clearly made to get people excited - considering this movie was talked about amongst the discussions of other amazing Pixar movies. I think Stanton's a special filmmaker. I'm excited to see what this film will dare to do. I cannot wait for this movie! Andrew Stanton is a genius, and I can't wait to see where he takes this! Good luck on it! "R2D2 meets City Lights" to quote Stanton. Does that mean the rumours of a dialogue free Pixar feature are true? It must be an extreme challenge to deliver story advancing acting using only miming and expressions with a non-humanoid robot! What was that like..? ?